Sign up on Facebook here. You can check out each of my books here on my website or on my author page at Amazon. Click here for an excerpt from Griswoldville (I’ll read a different passage when the big day arrives). I’m grateful to PTC for this opportunity and really looking forward to it. Please join us! 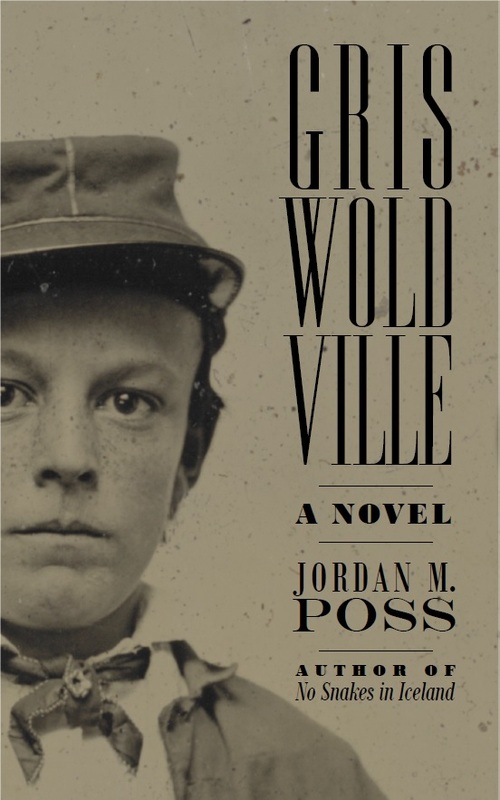 Although I often have been disappointed with historical fiction, and generally read non-fiction, I decided to give Griswoldville a try. The historical background is familiar to me, particularly since I lost a 55 year old great-great grandfather in that tragic battle. [Jordan] Poss relates this American tragedy in a compelling, insightful manner. He advances the narrative wonderfully through compelling, very realistic characters. His prose is poetic at times, but spare and real. Growing up as a young southern boy I often fascinated over what I would have done had I lived during the Civil War, and I was drawn to the gallantry and the heroism of soldiering, of war, and of battle. Poss does a great job of recognizing that thinking within all boys as he creates the character of Georgie Wax. It was easy for me to put myself in the shoes of Georgie with all of his thoughts and uncertainties. I love how Poss develops this character throughout the novel. I found myself revisiting my "growing up years" as I wrestled with life alongside Georgie Wax. This was a novel that resonates with the experience of every boy, no matter when you grew up. The realities of farm life and the rigors of army life, Georgie’s love of all things chivalrous, heroic and adventuresome combine to make Georgie a wholly believable militiaman, by the time he is thirteen. 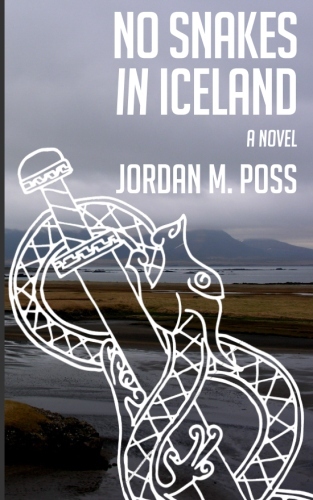 You will love him, his family and the nobility with which Jordan Poss imbues him. Poss is so descriptive—without being wordy—that you will carry the picture of this north Georgia setting with you, fondly. His vast vocabulary and knowledge of unique Southern practice and history come through seamlessly on every page. Responsibility, family, boyish idealism, honest emotion, the profane and the sacred all come together in a highly readable book for lovers of good storytelling. I’m grateful for these readers, the time they invested in my story, and their kind, generous reviews, and thankful as well for everyone who has told me in person how much they enjoyed the book. Please leave a review for Griswoldville if you’ve read it, and if you haven’t, please pick up a copy! It’s available in both paperback and Kindle formats at Amazon. Enjoy! 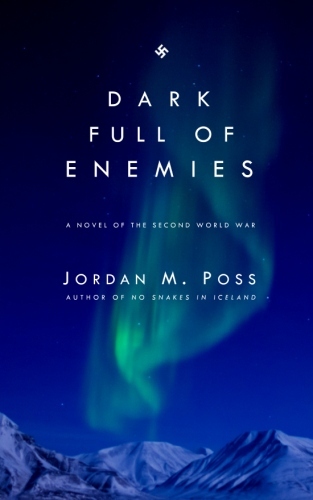 For Christmas we’re giving away a set of all three of my novel-length works: Viking Age ghost story No Snakes in Iceland, World War II thriller Dark Full of Enemies, and my latest, Civil War coming of age story Griswoldville. To enter, simply visit my official Facebook page, find the photo of all three books posted above, and like it. That’s it. One entry could win you three books! You can find out more about each book here on my website—I’ve linked each book’s page above—or by clicking through to my author pages on Amazon or Goodreads, where you can also see what previous readers think. The giveaway ends Friday, December 14. The winner’s name will be drawn randomly and contacted directly via DM. You don’t have to share, tag, or like anything else to enter. Best of luck, and thanks for reading! Griswoldville has been out for a month! To celebrate we’re giving away five signed copies of the novel here on the website. Enter between now and October 18 for a chance to win a copy! Open to US residents only. Alternately, you can always skip the wait and the odds and order a copy! The giveaway has ended, but please do buy yourself a copy! In case you missed it, a few days ago I made an excerpt from my newest novel, Griswoldville, available on my website. Click here to read it, or click here for more information about the novel. The excerpt is two short chapters from Part III: Miles Gloriosus. The narrator, Georgie Wax, has been conscripted into the Georgia militia along with his grandfather, Lafayette “Fate” Eschenbach, and his cousins Wes and Cal. While their grandfather has experience in a wartime militia from decades before, Georgie, Wes, and Cal have a lot to learn, and find that war is not as glorious or as fun as its reputation suggests, and the cost of war is enormous. If you’ve been following this blog, the excerpt includes the section about heraldry I wrote about here several months ago. Give the excerpt a look! I hope you enjoy it. If you do, please do get yourself a copy of Griswoldville. 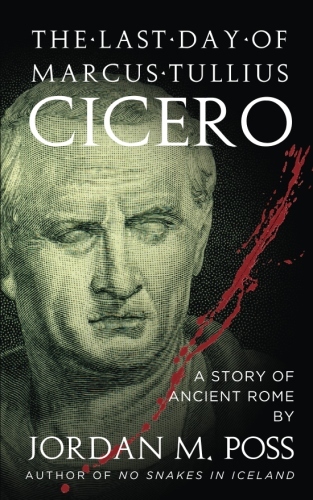 It’s a story that’s been interesting and important to me for a long time, and I’m excited to have finished the book and finally made it available. 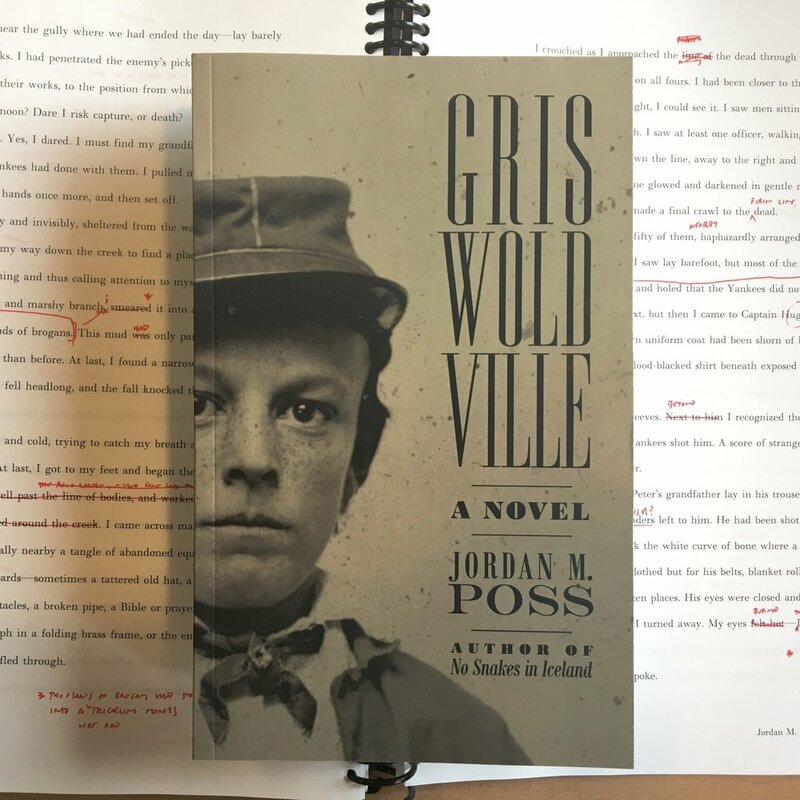 I'm thrilled to announce that the long-awaited day is come: my latest novel, Griswoldville, is now available! You can find it in both paperback and Kindle formats on Amazon. A lot has happened since I started working on this project several years ago and in the two years since I began the actual writing. Work has slowed almost to a stop several times, especially with the birth of our second child last summer. But I'm thankful to say that with a little time set aside and with the support and encouragement of my family, especially my wife, Sarah, I've gotten the thing written, revised, designed, and published, and I'm excited to make it available to my readers. The story is set in my home state, Georgia, during the American Civil War, and follows a family of the yeomanry—the class of small family farmers that made up the vast majority of white Southerners—through the travails of the war. That narrator, Georgie Wax, is the eldest of three brothers and is tasked with looking after the family farm when his father leaves for the war in the summer of 1861. His maternal grandfather, Fate Eschenbach, moves in with them, and together they take care of the hard work necessary to survive, right up until they are drafted into the state militia. With Sherman's western army closing in from the north in the summer of 1864, Georgie, his grandfather, and their friends and family are set on a collision course with the ugly truth of war, combat, and the toll taken by both on ordinary people. Madison Co., Georgia, 1864—14-year old Georgie Wax has spent the three years since his father left for the war looking after the family farm. With his mother and young brothers, Georgie and his grandfather Lafayette “Fate” Eschenbach have brought in the crops every fall, slaughtered the hogs every winter, and kept the farm running as the faraway war stretches on longer and longer and his father seems ever farther and farther away. But when the enemy reaches their own state, Georgie and his grandfather are called up to the militia to protect Georgia against the invaders. Drilled mercilessly, mocked for lack of experience, and put to work at manual labor, Georgie finds war isn’t the adventure he imagined it to be. Only with Atlanta fallen and the enemy on the move will Georgie, Fate, and their fellow Georgia militiamen find a chance to prove themselves and save their homes from destruction—at a railside factory town called Griswoldville. I hope y'all enjoy Griswoldville! If you do, please do me the favor of writing a short but honest review. As always, thanks for reading! For the upcoming release of Griswoldville, here's a list of my personal favorites from the vast body of Civil War literature. This is by no means an exhaustive list—there's a lot of good stuff out there and plenty I still haven't read, like Thomas Keneally's Confederates, Mackinlay Kantor's Pulitzer Prize-winning Andersonville, or even Gone With the Wind—but simply a list of the books I've been most moved by, have most enjoyed, and have most often returned to over the years. My mom ordered Rifles for Watie from the God's World Book Club flyer when I was in fourth or fifth grade. I remember plowing through the novel, simultaneously disappointed that it did not take place in the Civil War I was familiar with—the Eastern Theatre—and fascinated by the war it did depict. Rifles for Watie is a story of intrigue, in which Jeff Bussey, a young Union soldier, infiltrates the Confederate Indian cavalry of Stand Watie, a Cherokee leader. Watie hopes to acquire repeating rifles for his cavalry troopers, and Jeff, despite the friendships he has formed, must stop him. The novel respectfully depicts the Cherokees, their attitudes toward the war, and the chaotic Western Theatre, and is unusually realistic for children's fiction thanks to the author's many interviews with elderly Civil War veterans. Rifles for Watie won the Newbery Medal in 1958. Also recommended: The Perilous Road, by William O. Steele, about a young pro-Confederate Tennessean who discovers his brother has joined the Yankees; G. Clifton Wisler's Red Cap, the story of a drummer boy imprisoned in Andersonville; and Brotherhood, by Anne Westrick, a daring novel about a boy in post-war Richmond who finds his humanity tested when his brother joins the Ku Klux Klan. If you find yourself daunted, as I do, by the sheer size of the late Shelby Foote's three-volume, 2,900 page, 1.2 million word The Civil War: A Narrative, start with Shiloh instead. Shiloh is a short, beautifully written and poignant novel taking place across about three days but encompassing the beginning of the war, the secession crisis, and the conflicts within the United States as a whole. Told through multiple points of view, from commanding generals on down to yeoman privates and a squad of volunteers, Foote's novel gives you glimpses of all the major events of the battle through several interpretations, and hints broadly, because of the battle's course and results, at what the outcome of the war must be. More importantly, it brings you into the battle, giving you that difficult to achieve feeling of what it must have been like, to make you understand the experiences of the soldiers themselves. A great book. Also recommended: Shelby Foote also edited Chickamauga and Other Civil War Stories, a collection of short stories from authors including Ambrose Bierce, Thomas Wolfe, Faulkner, Fitzgerald, and Eudora Welty. More about Bierce below. I came to The Killer Angels through Gettysburg, the 1993 film adaptation. As a kid I had a VHS copy of the movie, recorded off TNT, which I watched on a near endless loop, but when I finally read the novel I found the only thing superior to the film. Shaara's book is much like Foote's Shiloh in that it is the dramatic, beautifully written story of a single battle that, through its multiple points of view, offers a sweeping look at the whole war. But it differs from Shiloh in its scope thanks to the sheer scale of the battle, the largest ever fought in North America, and in the thoughtful, melancholy introspection of its major characters, especially James Longstreet, Lewis Armistead, and Joshua Chamberlain. One of the most popular Civil War novels ever published, justifiably so, and winner of the Pulitzer Prize for Fiction in 1975. Also recommended: Promise of Glory, by C.X. Moreau, covers the September 1862 Battle of Sharpsburg (Antietam) and owes a lot to The Killer Angels in terms of structure, focus, and tone. Promise of Glory doesn't reach the heights of Shaara's work, but it's a solid fictional recreation of another important moment of the war. Justly regarded as a classic, The Red Badge of Courage suffers somewhat from its near constant presence in high school reading lists. This is the story of Henry Fleming, a young Union army private, and his experiences during the (unnamed) Battle of Chancellorsville in the spring of 1863. While Crane was not a veteran of the war, he did his homework and crafted a short novel of unflinching psychological realism, capturing every vicissitude of dread, cowardice, and reckless courage over the day or so that Fleming wanders through the battlefield. While this novel clearly made later works of grim, realistic war fiction like The Naked and the Dead possible, Crane's story is apolitical, unembittered by ideology, and narrowly focused on one thing—courage—and what it means. 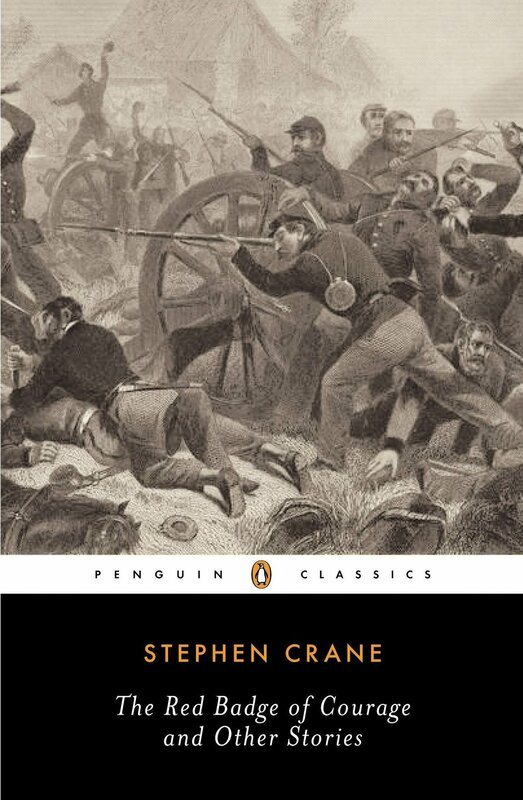 Actual veterans praised Crane's work, and it's still worth reading a century on. Also recommended: Ambrose Bierce, an older contemporary of Crane and a veteran of the war's western theatre, wrote a number of short stories based on his experiences. "An Occurence at Owl Creek Bridge" is an early stream-of-consciousness story about a Confederate saboteur who is about to be hanged, and "Chickamauga" depicts the horrific aftermath of battle as seen by a child. Probably the strangest book on this list, and one of the strangest I routinely recommend, Traveller is the story of Robert E. Lee—as told by his horse. Adams, who is most famous for his other animal epic, Watership Down, retells the course of the war through a goodhearted but ignorant animal witness. It sounds goofy, but the story works well because it brings a fresh sense of pathos to the war through a narrator who only half understands what is going on. In a half-comic, half-tragic irony, Traveller ends the war thinking his side has won, and the note of triumph he brings to his storytelling only deepens the reader's sense of loss. Surprisingly engaging, and even more surprisingly moving. Also recommended: For another outside angle on a major Civil War figure, read A Friend of Mr. Lincoln, by Stephen Harrigan. This novel offers a portrait of Abraham Lincoln as a young, ambitious frontier lawyer and brims with colorful real life characters and incidents even if the narrator, a failed New England poet, is fictional. Though the story transpires decades before the war, this novel, like Traveller, is freighted with irony and sadness because of what we know is coming. Like Rifles for Watie, mentioned above, Woe to Live On tells a story from an out-of-the-way corner of the war, one where most of the usual narratives and assumptions about North and South don't apply. Set in Missouri, the novel follows Jake Roedel, son of a German immigrant, his best friend Jack Bull Chiles, their planter friend George, and George's slave Daniel as they fight with a group of Bushwhackers, Confederate guerrillas led by Col. William Quantrill, in the confused, morally grey irregular warfare of the back country. Rivalry with other fighters, the Lawrence Massacre of August 1863, liberation, friendship, love, death, and birth all play a part in this dramatic, surprisingly funny, and moving novel. Woe to Live On is also the basis of Ride With the Devil, a film adaptation directed by Ang Lee. Also recommended: While taking place postbellum, True Grit, by the great Charles Portis, is deeply informed by the war. The narrator Mattie's father was a Confederate veteran, as is Texas Ranger LaBoeuf. Marshal Rooster Cogburn, who refers to hanging Judge Parker as "an old carpetbagger," lost his eye while fighting with Quantrill in Missouri. A combination of Homer and Appalachian family lore, Cold Mountain tells the parallel stories of Inman, a Confederate soldier returning to his home in western North Carolina as a deserter in late 1864, and Ada, his beloved, who is working desperately to keep her farm afloat after the unexpected death of her minister father. Episodic in the manner of the Odyssey, with grotesque and monstrous dangers along the way, Cold Mountain is full of brilliantly realized characters and evokes both a real time and place—and their dangers—as well as the world of myth. It's a magnificent novel, full of longing, hope, melancholy, and meditation on danger and death, and deservedly won the National Book Award in 1997. Also recommended: The Second Mrs. Hockaday, by Susan Rivers, tells the story of the teenage wife of a Confederate officer who is recalled to his regiment the day after their wedding. Through letters, diary entries, and court records, a mystery involving adultery, slavery, hidden pregnancy, and murder uncoils across the decades following the war. I didn't quite buy the ending, but the novel is a powerfully evocative and brings postbellum piedmont South Carolina to life. These are the books I've most recently discovered, and how I missed them until two years ago I don't know. The central event of each is the disastrous 1864 Battle of Franklin, Tennessee, a few hours of appalling waste that shape the rest the characters' lives. The Black Flower, Bahr's first novel, takes place over the day of the battle and follows Bushrod Carter, a teenage private, and Anna Hereford, a young woman staying with cousins at a house near the center of the battlefield. The Judas Field is the post-war story of Cass Wakefield, a middle-aged veteran, as he accompanies a dying friend on her quest to find the bodies of her brother and father. Both are powerful, beautifully written works that evoke the time and place well and bring home the war's horror, pain, and overwhelming loss—the war's fruits for most of the ordinary people who took part. Also recommended: The Year of Jubilo, by Howard Bahr, the second book of this loose trilogy, centers on the return of Private Gawain Harper to Mississippi after the war. Harper hopes to marry his sweetheart, but her father will only consent if he helps kill the brutal leader of the local Home Guard. Another vivid evocation of early Reconstruction. Griswoldville is in the final stages of proofing and will be available soon. I hope you'll read and enjoy it, and that you'll check out some of these other great books as well. Thanks for reading! The first proof copies of Griswoldville arrived today! I'm thrilled with how they look and can't wait to complete the proofing and correction process to get these out to y'all. Enjoy the mini-gallery below as a bit of a sneak peek. More news to come! This summer has proven unexpectedly busy. If you listened to my guest appearance on Impolitic Podcast last week, you'll remember that Historical Movie Monday has taken a bit of a hiatus. It will return, but each post is time consuming to research and write and in addition I'm teaching summer classes for the first time in four years, spending the weekends hustling back and forth on various family vacations, and—not insignificantly—I've been working hard to complete revisions on my latest novel. And the revisions have been going well! So today I'm pleased to present the cover of my soon to be released novel Griswoldville. Madison Co., Georgia, 1864—14-year old Georgie Wax has spent the three years since his father left for the war looking after the family farm. WIth his mother and young brothers, Georgie and his grandfather Lafayette "Fate" Eschenbach have brought in the crops every fall, slaughtered the hogs every winter, and kept the farm running as the faraway war stretches on longer and longer and his father seems ever farther and farther away. But when the enemy reaches their own state, Georgie and his grandfather are called up to the militia to protect Georgia against the invaders. Drilled mercilessly, mocked for lack of experience, and put to work at manual labor, Georgie finds war isn't the adventure he imagined it to be. Only with Atlanta fallen and the enemy on the move will Georgie, Fate, and their fellow Georgia militiamen find a chance to prove themselves and save their homes from destruction—at a railside factory town called Griswoldville. The novel should be available before the end of summer. I'm pretty excited about this one, and I hope y'all will be, too. Stay tuned for more announcements! Turned this up in a bit of late research for a minor part of Griswoldville. The novel's protagonist, young Georgie Wax, is consumed with knights and medieval stories and takes a keen interest in heraldry as a result. After being called up to the Georgia militia, he passes hours of boredom trying to create a blazon—or official, formulaic description of a coat of arms—for his unit's battle flag. Actual Confederate battle flag, not the ones you see flapping behind pickup trucks. This was my favorite. The three colors of red, white, and blue were preserved in it. It avoided the religious objection about the cross (from the Jews and many Protestant sects), because it did not stand out so conspicuously as if the cross had been placed upright . . . Besides, in the form I proposed, the cross was more heraldic than ecclesiastical, it being the 'saltire' of heraldry, and significant of strength and progress (from the Latin salto, to leap). The stars ought always to be white, or argent, because they are then blazoned 'proper' (or natural color). Stars, too, show better on an azure field than any other. Blue stars on a white field would not be handsome or appropriate. The 'white edge' (as I term it) to the blue is partly a necessity to prevent what is called 'false blazoning,' or a solecism in heraldry, viz., blazoning color on color, or metal on metal. It would not do to put a blue cross, therefore, on a red field. Hence the white, being metal argent, is put on the red, and the blue put on the white. The introduction of white between the blue and red, adds also much to the brilliancy of the colors, and brings them out in strong relief. Blazon, saltire, azure, argent—heraldry relies on a vast, arcane vocabulary of largely French origin in a convoluted and rigid syntax meant to preserve the design of a given coat of arms with the permanence of a molecular formula. Thus, the flag of England is Argent, a cross gules and the flag of Scotland is Azure, a saltire argent. And these are simple blazons. Entertain yourself sometime with more complicated ones. Gules, a saltire azure charged with thirteen mullets argent. I was unsure how to account for the fimbriations, the white borders of the cross, and occupied myself for hours sometimes in shifting this subordinary back and forth through my primitive blazon. It's worth pointing out that the commonly repeated bit of lore that the flag's design stems from the St. Andrew's Cross of Scotland, because of the vast sea of Scots-Irish farmers who supposedly formed the backbone of the Confederate Army, doesn't enter into it. Just good, sound artistic principles within a body of established tradition here—with a few politico-religious considerations thrown in. Miles's concluding paragraph to Beauregard begins with my favorite line in the letter: "But I am boring you with my pet hobby in the matter of the flag." What amateur vexillologist hasn't said some version of this?